As any corporate event planner can tell you, loads of time, money and resources go into a conference. Even the most carefully organized events can see details fall through the cracks. And when those little pitfalls affect the attendee experience, we’ve got a problem. These 5 mistakes could send the dream of an engaging conference spiraling into a nightmare. The easiest way to take an attendee from an uninformed bystander to an active participant is to keep them in the know. You went through all the effort of bringing people together in a meaningful way, don’t frustrate them upon arrival. As the Fyre Festival showed Ja Rule and his crew, regardless of the hype, if the event doesn’t deliver – you’ve got a problem. Disorganized scheduling, bait and switches and even a lack of signage will put pressure on busy staff to have rushed conversations with even more disgruntled guests. But when organized and delivering on your event promise, you can still relieve your staff by giving them a 24/7 assistant. Yes, mobile apps are a saving grace at events. Mobile event apps provide the attendee experience blueprint to navigate your large event space. Aside from navigating, apps provide instant gratification for any query they may have. Pop-up notifications inform guests of sudden changes or special announcements occurring throughout the day. We get it. As a brand, you’re dead set on educating, motivating and recognizing your talent during a spectacular weekend conference. But networking is a thread that should be woven throughout your event. Networking engages your event attendees and cultivates a shared experience. It creates a sense of community within your brand. Take a proactive role through pre and post event efforts by creating an online community either on social media or your mobile event app. Nobody has the patience to sit through speaker after speaker. A convention is similar to a theatrical experience. It must be approached from a design standpoint to not only deliver the appropriate content but maximize the engagement. Keep your finger on the pulse of your industry so you know ‘what’s hot’. After all, you’re still communicating a message to your audience, even indirectly. Encourage previous attendees to make their own suggestions as to what they would like to see. Attendee engagement goes far beyond the attendants who physically embody your event space. There’s a population of no-showers who may have had unforeseen circumstance popup, and other audiences that crave your content but won’t be at the event. With the technology that’s available to us, there are countless possibilities to reach non-attendees as the event or conference is actually happening. Viewing parties via Facebook Live, meetings in a box and Q&A videocasts engage your people regardless of their location. Some corporate events start and finish on the same day. Unfortunately, they are all too soon forgotten. Regardless of the end date, the power of your event should resonate far into the future. Failing to follow up is a costly mistake. It’s a missed opportunity to boost your communication. When you roll out an effective post-event communication strategy, it not only encourages guests to show up for your next event but helps your message live on and offers insight into how it was received. Finally, make sure you recognize everyone was played a role in your event’s success. This recognition motivates them to continue to push the envelope for next year. Long after the last balloon pops on the conference floor, you can still engage with attendees. Keep the conversation going on social media. Create fans and brand ambassadors and ensure you get feedback so you can learn and improve. Post pictures of the successful event on your social media and call out the people who presented, attended, sponsored, etc. You can even get people to share their own content from the event through contests and hashtags. Your event is only limited by your creativity. Be sure to check out this quick guide to engaging attendees on a budget. 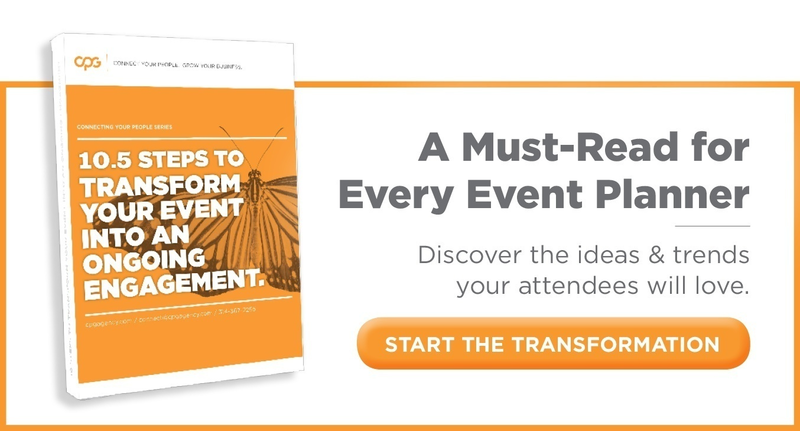 You’ll learn some easy-to-implement, quick tips to amplify your next event.